Sumner County is a great place to go hunt Easter Eggs! The Easter Bunny visits several different places in the area including a Castle! Grab your baskets and make plans to hunt eggs this Spring. Historic Rock Castle and Hendersonville High School proudly present the annual Wonderland Egg Hunt! Thanks to our generous sponsors, this event is FREE and includes egg hunts, crafts, games, face painting, and bounce houses! We will also have concessions available with a great assortment to choose from! Join us before or after your egg hunt for games and activities provided by our friends at Indian Lake Peninsula Church and City of Refuge, including bounce houses provided by Ultimate Party Rentals! Then head over to the Pavilion for some whimsical Wonderland-themed crafts to take home and remember your time down the rabbit hole at Rock Castle! Fun with the Bunny!! Pancakes, games, pictures, egghunt and MORE!! $5.00 per person to enter. Purchase tickets for the Adult Egg Grab for a chance to win a Roomba. AND play Bunny Bingo and have a chance to win an Air Fryer or a Google Hub! So much fun for everyone!! First Baptist Gallatin on Main Easter Eggstravaganza! Lunch will be provided. Located at Triple Creek Park in the large pavilion, at the back of the park. Easter Egg Hunt plus games, food, Easter Bunny & more! First Baptist Goodlettsville & Goodlettsville Parks and Recreation will host the 2019 Spring SpEGGtacular Easter Egg Hunt on Sunday, April 14 at 2:00pm. The event will be held at Moss-Wright Park on the Football Field. Children will be split into three different age categories for the Egg Hunt: Ages- 0 – 4, Ages- 5 – 8, and Ages- 9 – 12. 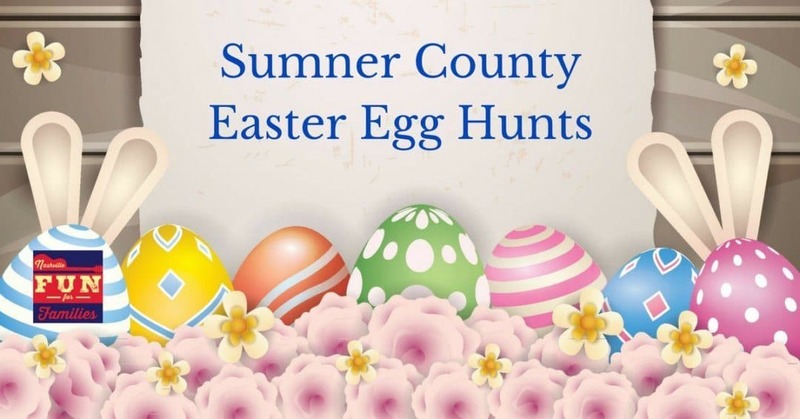 There are also Egg Hunts in Rutherford County, Davidson County, Robertson County, and Wilson County. Eat breakfast with the Bunny and get your picture taken too! Get more ideas of things to do from our Ultimate List of Spring fun and find even more Easter fun in our complete Spring and Easter Guide just for Nashville!